Remember the time when you spent the whole day out and asked your mother to give you a slice of bread, so you didn't have to go to lunch either. When you used to fool around by skating to impress the girls. Despite failing over and over again, you still persisted because you actually enjoyed skating. You can relive that again by skating your way back to childhood with a new and improved type of skateboard – an electric skateboard. Maybe you never heard about this kind of thing and you're curious what one even is. You keep searching the web feeling lost, looking at all those features and characteristics of different skateboards, trying to find something. After a while, you get amazed by them and suddenly you're interested in buying one. During your research, you stumbled upon our list of best electric skateboards that we compiled to save your time and make your choice easier. You put that satisfying smile on your face, knowing you found what you were looking for. Before we get to the list, let's check out the most important things to look for in electric skateboards. The Evolve Carbon GT comes with an astonishing carbon fiber deck which adds a completely new feel to the ride. This means every movement is translated directly to the trucks, which makes the skateboard highly responsive. It might feel stiff and unnatural at first, but it won't be long before you realize that it's just a different way to ride. Since the Carbon GT is quite powerful, the wheels almost break loose from the ground if you carve too hard. Some may like this because it can be used to slow down by sliding sideways. The board's trucks feature a double kingpin design. The addition of a second kingpin lets the board turn much faster and at much tighter angles. You can dictate the ride with an innovative handheld controller, featuring a color LCD screen for precise control over the board. The screen displays the current speed in real time, the distance traveled, charge state and riding mode. It can reach the top speed of 26 mph, weighing 21 pounds, which is kind of heavy if you need to carry it. With 3,000 watts of power, the astonishing range of 31 miles, full carbon fiber construction and all-terrain tires that can easily withstand small bumps, the Evolve Carbon GT is the ultimate downhill board that can also be used for casual riding. This particular skateboard is pretty powerful. It contains two DC motors, each with 1,000 watts, making it enough to hit 22 miles per hour. The power in these motors allows the skateboard to easily climb uphill. 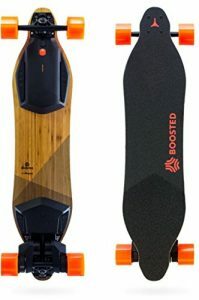 The Boosted 2 Dual+ is equipped with lithium batteries that can hold its own for at least 12-14 miles on a single charge. This generation features a lot of sensors, three microprocessors, and ability to connect with your smartphone to tweak performance settings. The board’s motors are extremely well-tuned. If we dare to say, they possibly offer one of the smoothest acceleration and deceleration of an electric skateboard. The average off-the-shelf board usually accelerates too quickly for your muscles to adjust, ending up throwing you off balance but this is not the case with the Boosted 2 Dual+. Now to be fair, the board isn’t easy to push when the electricity is off. Although, if you’re meticulous about charging your battery on time, there won't be any need to manually push the board. This board doesn't handle shocks particularly well. It's good on a smooth surface, but on the mixed terrain, it produces a lot of vibration. Also, depending on location, the drive belts will need to be replaced every couple hundred miles. Evolve Bamboo Street GTX offers as much range as Carbon GT since they are both powered by the same 36v Lithium-Ion battery. It is stated that you could range 31 miles with a single battery charge, but to be honest, with the Bamboo Street GTX you should be able to cross a little less than that, especially with the All Terrain wheels. Numbers-wise, almost everything is same compared to its Carbon series counterpart, however, GTX comes with some exciting new features. The bigger wheels will make the ride much smoother. Riding over cracks will be a lot safer and it will handle bumpy sidewalks better. 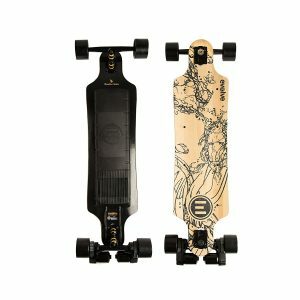 To further improve the comfort, the GTX has a flexible deck that rivals the Boosted Board’s, which many customers praised for being more comfortable than Evolve Carbon. Therefore, GTX provides an incredible riding experience. As for the remote, it's the same old one with a new firmware update. The update serves to fix the notorious issue of disconnection that some Evolve owners encountered. The popular Evolve GT skateboards are in demand these days, and it’s for a good reason. They are extremely adaptable, catchy and innovative devices that will satisfy even the most demanding users. 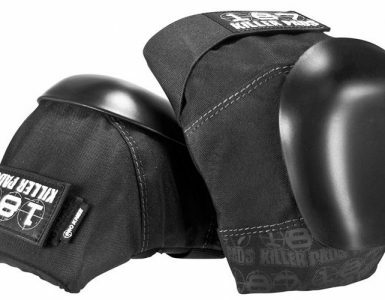 These boards are also very durable and feature unique motion sensitivity. The Bamboo GT, also known as the GT AT or GT All-Terrain, offers carve trucks, an ABS braking system and versatile wheels, coupled with a new deck layout. The GT mode allows the board to go uphill, but we advise you to take precaution when coming down. 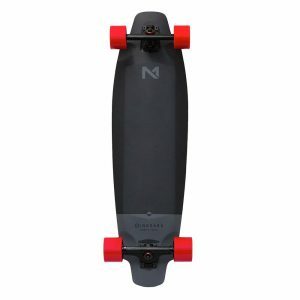 The Inboard M1 feels like a regular skateboard, rather than electric one. 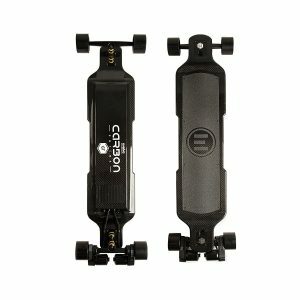 The wires, motors, and batteries are hidden and without the resistance in the drive train, which makes it water-resistant and possible to be pushed like a normal skateboard. The hubless motors are planted into the rear wheels of the board. Also, they added built-in lights to complement the stylish design. With 24 mph maximum speed it's surprising it only has a limited range of 7-10 miles. The ability to climb hills isn't that good as with Boosted or Evolve products. Some users have complained about the build being too lackluster but praised the firmware updates for adjusting the torque and speed settings on this board. Due to the stiff board, it's on the rider to absorb most of the shock. The solution could be carving around obstacles. That being said, the tech can also feel underpowered. There is not much feedback while the skateboard is idle, thus requiring more rider confidence. To make it easy for the beginners, the M1 comes with three rider profiles: beginner, eco and intermediate - 5 mph, 14 mph and 20 mph, respectively. 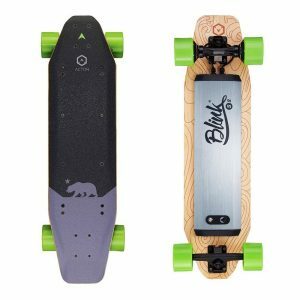 Acton Blink S is an elegant budget board that can take you on long city rides, coupled with the 15% hill inclination ability and 15 mph maximum speed. The range of this beauty is 7 miles, which makes the power saving pretty efficient. The designers had in mind both pros and the beginners when they were creating this one. We were surprised that Acton Blink S features built-in lights because for a budget board to include lights of any kind is pretty incredible. The quality of the remote looks cheap, but overall build is pretty strong. Nevertheless, users have complained about the board being way too stiff with no flex to it whatsoever. 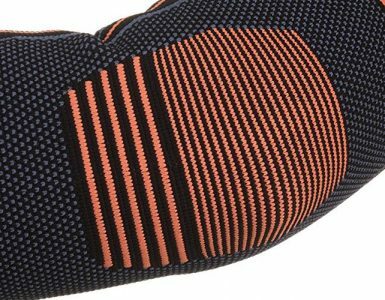 Even though the wheels are quite large and you can go over most bumps, there isn't much in terms of shock absorption which is very discouraging. Coming to the brakes, there is no gradual slow down and it might take some time to get used to the catchy braking. In the end, when you take into account the price, this one is pretty solid. The Acton Blink S2 is a mid-level board with a reliable performance. Featuring integrated LED lights, coupled with an affordable price, it is one of the best dual-motor skateboard options available today. You would not expect such speed and max range from a budget skateboard. The charging time is quite fast if you take into account the range. The LED lights make it a great option for a night ride. 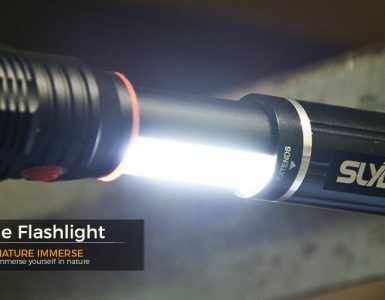 The lights not only help you see the road, but you're also more visible to people around. You can reach the maximum speed of 18 mph with Blink S2. Weighing 15 pounds, this board is a bit heavier than the average electric longboard. considering the 14-mile range the Blink S2 offers, it's pretty reasonable. Coupled with the fact that it's too heavy, it doesn't have any handles for holding, making the board inconvenient to carry around. Also, some users have complained about the bad customer support for this product. BENEFITS - If you're an experienced boarder, the electric board will relieve you of pushing, and sliding down the hill won't be that scary anymore when you have a safe braking system. Most of these boards are also great for new boarders or those looking for alternative means of transportation. This makes them also a great supplement for public transit. Their small size and portability make them easy to be carried in busses or trains. Even though they seem a bit costly, they actually pay off, taking into account the savings you make in terms of fares. PURPOSE – Bear in mind what you'll be using the skateboard for. Will it be just for fun? Commuting? Going to town on the weekends? Riding in the city or the highlands? Any type of board will work on smooth pavement, but not so much on steep hills and bumpy roads. 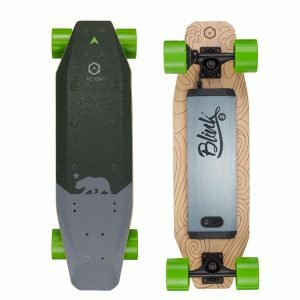 Only a small number of boards can handle the upland ride, so you should definitely consider this if you want to ride in hilly areas. PERFORMANCE and RANGE - The difference in electric skateboards is like the difference between cars. You have those common boards that just get you from point A to point B and then there are those that you actually enjoy riding. The main two things to look for are wheels and trucks. You should ask yourself a question – would this board be able to perform well without the electricity? Another thing that you should keep in mind is mileage. Can you get to the desired location without worrying about the range? There is a big difference between a simple electric board and a quality skateboard with a motor. PRICE - How much money are you willing to spend? Compare with caution. Professional, branded skateboards are usually more expensive and offer much better quality than off-the-shelf boards. Look for the manufacturer. Has it been made by someone who is passionate about performance? As with every product, there is a difference in the market in terms of materials used and price. You get what you pay for. Electric skateboards are an exciting new technology with their biggest flaw being the price. Several brands offer skateboards at a price of less than $1,000, which is five to ten times more than the price of traditional skateboards or longboards. It may be a bit of a hassle to go to the meeting or to the city on a skateboard, but almost every novelty on the market today had to overcome the initial strange looks. We presented you the top skateboard options with different prices and qualities, each unique in its own way. It is up to you now to make the right choice. One thing is for sure, even if you're not a fan of this type of adventure, thanks to a new technology, this will occupy everyone's attention, at least briefly.